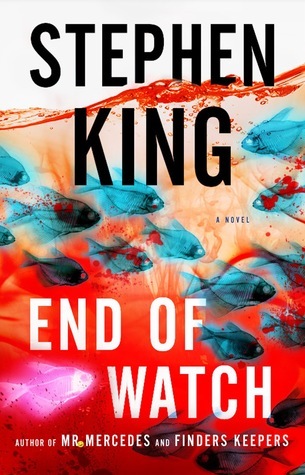 End of Watch by Stephen King from my mom for my birthday — she’s a bit early. Retired police detective Bill Hodges, the unlikely hero of Mr. Mercedes and Finders Keepers, now runs an investigation agency with his partner, Holly Gibney, who delivered the blow to Hartsfield’s head that put him on the brain injury ward. Brady also remembers that. When Bill and Holly are called to a murder-suicide with ties to the Mercedes Massacre, they find themselves pulled into their most dangerous case yet, one that will put not only their lives at risk, but those of Hodges’s friend Jerome Robinson and his teenage sister, Barbara. Because Brady Hartsfield is back, and planning revenge not just on Bill Hodges and his friends, but on an entire city. Heirlooms: Stories by Rachel Hall for review from Caitlin Hamilton Marketing. Fiction. Jewish Studies. Winner of the G. S. Sharat Chandra Prize for Short Fiction, selected by Marge Piercy. HEIRLOOMS begins in the French seaside city of Saint-Malo, in 1939, and ends in the American Midwest in 1989. In these linked stories, the war reverberates through four generations of a Jewish family. Inspired by the author’s family stories as well as extensive research, HEIRLOOMS explores assumptions about love, duty, memory and truth. What beauties did you receive in your Mailbox?